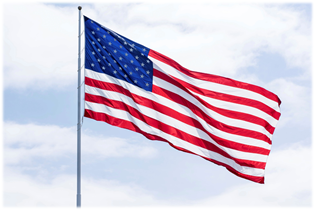 Gold Coast Schools offers a scholarship to recently discharged veterans of the United States military to cover the full cost of tuition and books for several Gold Coast courses. Jim and John Greer, owners of Gold Coast Schools and veterans of the United States Airforce, started this program in September of 2012 by kicking it off at a “Hire a Hero” career fair in Fort Lauderdale, Florida. This program is a way to help returning veterans get back into the workforce as quickly as possible. Gold Coast is honored to serve those who have served our country and truly cares about the career success of these individuals who have given so much. If you, or someone you know, was honorably discharged from the United States military within the last 3 years, click on the link below to learn more about this great scholarship. 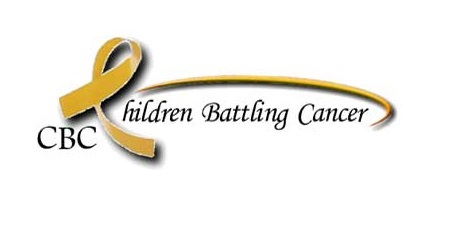 Gold Coast Schools supports the Leukemia & Lymphoma Society (LLS) and their mission to wipe out blood cancers through the development of cures and treatments. Thanks to the support of staff and students, Gold Coast has raised more than $40,000 to contribute to the LLS mission. Gold Coast owner John Greer was a member of the LLS board for 6 years, serving 2 years as President. With cancer, and specifically blood cancers, impacting the lives of so many, Gold Coast is proud to be able to contribute the Leukemia & Lymphoma Society’s mission to find cures through funding cutting edge research from around the world. Boca Helping Hands (BHH) is a community-based 501(c)(3) organization that was formed in 1998 by a group of local religious congregations. Boca Helping Hands provides food and emergency assistance to meet basic human needs and long-term solutions to break the cycle of dependence. Gold Coast’s Director of Operations, Michelle Buell, organizes an annual charity drive to raise money and collect food for this excellent organization. In 2014, Gold Coast raised $1,365 and collected 800 pounds of food. Owners Jim and John Greer each matched the amount raised bringing Gold Coast’s total 2014 donation to $4,095. In 2015, Gold Coast once again collected a considerable amount of food and cash donations totaling 1,733 pounds and $3,963. 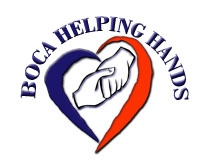 The amount of food and cash donations continues to grow each year as Gold Coast has made the Boca Helping Hands initiative an annual charitable cause. On behalf of everyone at Gold Coast, we would like to thank our staff and students for continuing to support this great organization. 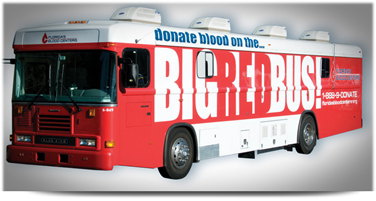 The Bloodmobile is committed to providing Blood donors, Stem Cell donors, Plasma donors and Cord Blood donors with a safe, convenient way to donate Blood and Blood products through donation opportunities at scheduled Bloodmobile locations throughout the community. Gold Coast staff and students donate to the Blood Mobile as it visits our multiple South Florida locations throughout the year. With the constant need for blood both locally, as well as in distant communities, Gold Coast Schools is proud to contribute to saving lives by hosting the Big Red Bus. Thank you to all the staff and students who make these visits a huge success. Your contributions are greatly appreciated!